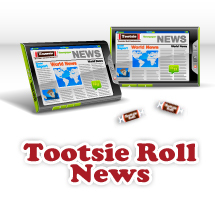 Chicago, IL - Tootsie Roll Industries is now part of the popular KING SIZE market. 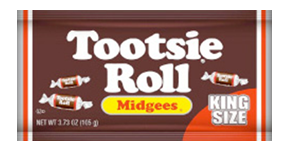 The Tootsie Roll King Size consists of 15 individually wrapped Midgees, making this product is perfect for sharing, indulging or saving a serving for later. 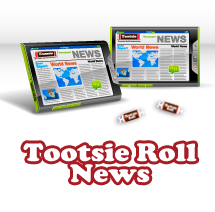 The metallic packaging protects the product's integrity; preserving its freshness and great flavor. 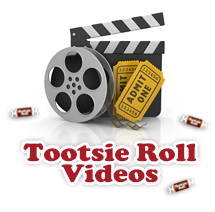 This product is kosher certified, and nut, egg and gluten-free.